It will be Alabama vs. Clemson, Part IV. The winner on Jan. 7 in Santa Clara, California, will become the first 15-0 FBS champion. This matchup has seemed inevitable since the Tide and Tigers started the season ranked 1-2 — and they will likely finish that way. Alabama, which will be going for its sixth national title in coach Nick Saban's 12 seasons, beat Georgia in last year's CFP title game after a 24-6 win over Clemson in their semifinal game at the Sugar Bowl. Tua Tagovailoa completed 24 of 27 passes for 318 yards and four touchdowns, and top-ranked Alabama defeated fourth-ranked Oklahoma 45-34 in the Orange Bowl on Saturday night to earn a berth in the national championship game. Both teams will enter 14-0. The winner will be major college football's first 15-0 team since Penn in 1897. Heisman Trophy winner Kyler Murray led Oklahoma with 308 yards passing and another 109 yards rushing. CeeDee Lamb had eight catches for 109 yards for the Sooners (12-2), who couldn't overcome an early 28-0 deficit. Kyler Murray won't go away. Oklahoma's quarterback scored on an 8-yard keeper with 4:23 left, and the Sooners are within 11 points again at the Orange Bowl. It's Alabama 45, Oklahoma 34, as the Heisman Trophy winner has thrown for two touchdowns and now run for another. Murray has thrown for 308 yards and rushed for 109 more. He's had a hand in accounting for 417 of Oklahoma's 471 yards of offense. Tua Tagovailoa's 13-yard pass to Jerry Jeudy with 6:08 left has given top-ranked Alabama a 45-27 lead over Oklahoma in the Orange Bowl, and put the Crimson Tide on the brink of securing another trip to the national championship game. Tagovailoa has been flawless, completing 24 of 27 passes for 318 yards and four touchdowns. He's on pace to shatter the Orange Bowl completion record, which Andrew Luck set for Stanford against Virginia Tech in 2011 by going 18 for 23. If Alabama holds on, college football will see something it hasn't had since the 19th century — a 15-win team. The Crimson Tide and Clemson would both enter the final game at 14-0, and no team has been 15-0 in major college football since Penn in 1897. Kyler Murray and the Oklahoma Sooners won't go away. Murray's 10-yard pass to CeeDee Lamb with 8:31 left has gotten the Sooners back within 11 points of Alabama. It's 38-27 in the Orange Bowl, with the winner set to face Clemson in the College Football Playoff title game. Lamb now has eight catches for 109 yards. Murray has thrown for two scores. Murray was briefly knocked out of the game during the drive, and remained down for a couple minutes afterward. Murray was attempting a pass when he got hit by Alabama's Quinnen Williams, who used all of his 295-pound frame to put the Oklahoma quarterback onto the turf. Murray's helmet came off, and Williams was pounced on by Oklahoma lineman Dru Samia after the play. Murray walked to the sideline, and was replaced by Austin Kendall for one play before returning to complete the drive. Tua Time started just in time for Alabama. Tua Tagovailoa's 10-yard touchdown pass to DeVonta Smith with 13:08 left stopped an Oklahoma rally, and gave the Crimson Tide a 38-20 lead in the Orange Bowl. The Tide scored touchdowns on each of their first four possessions, then sputtered a bit as Oklahoma rallied from 28-0 down to get within 11 points. But Tagovailoa was 5 for 5 on the latest Alabama drive, and is now 21 for 24 for 290 yards and three touchdowns as the Crimson Tide move closer to another showdown with Clemson for the national championship. Kyler Murray has given Oklahoma hope in the Orange Bowl. Murray's 49-yard touchdown pass to Charleston Rambo with 3:03 left in the third quarter drew the Sooners within 31-20 of Alabama in the CFP semifinals on Saturday night. It was Rambo's first touchdown catch of the year, and by far his longest reception. He got behind two Alabama defenders and Murray hit him in stride. Alabama led 28-0 early. Oklahoma has outscored the Tide 20-3 since. Murray, the Heisman Trophy winner, is up to 210 yards passing, with 12 completions in 24 attempts. Austin Seibert has connected again, this time on a 26-yard field goal on the opening drive of the second half to get Oklahoma within 31-13 of Alabama at the Orange Bowl. And it was a record-setter for Seibert. He now has 496 career points, two more than Zane Gonzalez's Football Bowl Subdivision career-record total for kickers amassed between 2013 and 2016 for Arizona State. The Sooners ran 14 plays and went 66 yards, but settled for three points. Alabama linebacker Christian Miller was hurt on the play immediately prior to the field-goal attempt, and appeared to be grabbing at a hamstring while he was down on the turf. It was not a sharp series for the Crimson Tide, who missed tackles on several plays. The first half of the Orange Bowl was all Alabama. Tua Tagovailoa completed 15 of 17 passes for 224 yards and two touchdowns, Damien Harris ran for a pair of touchdowns and the Crimson Tide took a 31-10 lead over Oklahoma into halftime on Saturday night. The Tide tacked on three points on their final possession before the break. Alabama was going to go for it on fourth-and 1 from the Oklahoma 15 with 29 seconds left in the half, but was flagged for a false start. That meant the Tide sent Joseph Bulovas onto the field for a 38-yard field goal attempt, which he made for the 21-point lead. Alabama started the game on a 28-0 run. It'll be Oklahoma ball to start the second half. The runaway Orange Bowl isn't exactly a runaway anymore. Austin Seibert's 26-yard field goal with 7:30 left in the first half has drawn Oklahoma within 28-10 of Alabama in the Orange Bowl. That's 10 straight points for the Sooners, who forced Alabama's first punt of the night earlier in the quarter. Sooners quarterback Kyler Murray connected with CeeDee Lamb for a 17-yard gain on fourth-and-2 from the Alabama 31 to extend the drive. But when the drive stalled at the Alabama 9, Sooners coach Lincoln Riley opted to take points and not risk coming up empty on fourth-and-5. Kyler Murray and the Oklahoma Sooners are on the board in the Orange Bowl. Murray used two long passes —39 yards to Carson Meier and 32 yards to CeeDee Lamb— to get Oklahoma on the doorstep, and Trey Sermon scored from 2 yards out as the Sooners trimmed Alabama's lead to 28-7 with 11:48 left in the first half. The Sooners had only 24 yards before that drive. 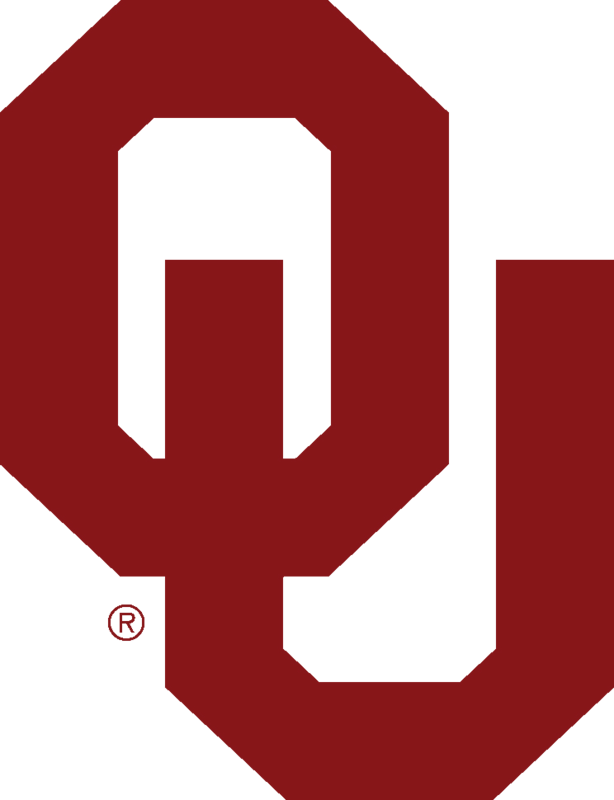 Oklahoma was handed two 15-yard penalties after the touchdown — one for unsportsmanlike conduct, the other for unnecessary roughness. Both were assessed on the ensuing kickoff, so Austin Seibert booted the ball to Alabama from his own 10-yard line. It's now four drives and four touchdowns for Alabama. Josh Jacobs caught a pass from Tua Tagovailoa in the left flat and rumbled the rest of the way for a 27-yard touchdown with 13:01 left in the first half, and Alabama now leads Oklahoma 28-0 in the Orange Bowl. Oklahoma safety Robert Barnes was shaken up in a collision with Jacobs on the play. Barnes was down briefly, then made his way to the Sooners' sideline. Tagovailoa is 9 for 9 for 184 yards and two touchdowns. Alabama has outgained Oklahoma 239-24. Alabama is up to two quarterbacks, and three touchdowns. Damien Harris got his second rushing score of the opening quarter, a 1-yard burst, and the Crimson Tide lead Oklahoma 21-0 in the Orange Bowl. Jalen Hurts saw some action on Alabama's third drive, coming in briefly after Tua Tagovailoa connected with Jerry Jeudy for a 40-yard gain. Tagovailoa was back on the field later in the series. Alabama's 21 first-quarter points are an Orange Bowl record. The Tide lead Oklahoma 191-0 in total yards, and Tagovailoa is 7 for 7 for 148 yards. Oklahoma is in trouble in the Orange Bowl. Tua Tagovailoa connected with Henry Ruggs III with 5:54 left in the opening quarter on a 10-yard touchdown pass, and Alabama's lead over the Sooners is up to 14-0 in the teams' CFP semifinal matchup. Alabama scored on its first drive, held Heisman Trophy winner Kyler Murray and Oklahoma to a three-and-out on the Sooners' first possession, and then Tagovailoa found Ruggs — who made a juggling catch that held up after review. Tagovailoa is 6 for 6 so far for 108 yards. Alabama enters this game 134-7 under coach Nick Saban in games where it, at any time, held more than a seven-point lead. And two of those seven losses came in 2007, Saban's first year in Tuscaloosa. Alabama caught the first break, and scored the first touchdown of the Orange Bowl. Damien Harris barreled in from the 1-yard line for a 7-0 Crimson Tide lead over Oklahoma, scoring one play after nearly fumbling the ball away to the Sooners. A lengthy review determined that Harris' elbow was down before he lost possession, after officials initially said it was a fumble recovered by Oklahoma's Kenneth Murray and a takeaway for the Sooners. Harris got the ball on the next snap, and the Tide struck first. Tua Tagovailoa opened the game with a 50-yard pass to DeVonta Smith, meaning this CFP started the same way as last year's national title game ended — Tagovailoa connecting with Smith. That was the start of a seven-play, 75-yard drive by Alabama. Top-ranked Alabama and fourth-ranked Oklahoma are squaring off for the right to go to Santa Clara, California and face second-ranked Clemson in the College Football Playoff championship game. Oklahoma won the toss, deferred to the second half and that meant the Tide and quarterback Tua Tagovailoa took the field first. The Tide apparently couldn't wait to get started: Coach Nick Saban and a few dozen of his players sprinted onto the turf a few seconds before the planned blast-of-fire and puff-of-smoke to accompany their entrance happened. Everyone in the stands, it seemed, was in crimson — the dominant color for both schools, and both end zones were painted in that color. The Tide donned crimson jerseys, Oklahoma wore white. Clemson is heading to the College Football Playoff championship game for the third time in four seasons. True freshman quarterback Trevor Lawrence threw for 327 yards and three touchdowns as the No. 2 Tigers overwhelmed No. 3 Notre Dame 30-3 in the Cotton Bowl on Saturday. The Tigers (14-0) are waiting to find out if they will play No. 1 Alabama in the title game again — they split title games at the end of the 2015 and 2016 seasons. The Crimson Tide play No. 4 Oklahoma in the other CFP semifinal, at the Orange Bowl on Saturday night. Lawrence had all three of his TD passes in the second quarter, including two in the final 1:44 of the first half. Lawrence completed 27 of 39 passes, while fellow freshman Justyn Ross had six catches for 148 yards and two touchdowns. Travis Etienne ran 14 times for 109 yards, including a 62-yard touchdown for Clemson. Notre Dame (12-1), which won its last national championship in 1988, was in the College Football Playoff for the first time. The Irish have lost the last eight times when getting into bowls that make up the New Year's Six games — or the former BCS national championship. All but one of those has been by double digits, including by four touchdowns to Alabama in the BCS title game nearly six years ago. Clemson is a step closer to another College Football Playoff championship game. Travis Etienne has raced 62 yards for a touchdown with 2:04 left in the third quarter of the semifinal game Saturday at the Cotton Bowl, putting the No. 2 Tigers up 30-3 over No. 3 Notre Dame. The Fighting Irish had allowed only five plays of 40 yards or more while going 12-0 in the regular season. Clemson has three such plays — all for touchdowns. The Tigers are trying to get to the College Football Playoff title game for the third time in four years. They lost to Alabama three seasons ago, and beat the Crimson Tide for the national title the following season. Clemson is halfway to the national championship game for the third time in four years. Freshmen Trevor Lawrence and Justyn Ross hooked up for two long touchdown passes, and Tee Higgins made a nifty catch off a deflection in the end zone and the No. 2 Tigers are up 23-3 over No. 3 Notre Dame at halftime of the Cotton Bowl. The winner of the College Football Playoff semifinal game will play for the national championship against No. 1 Alabama or No. 4 Oklahoma, who play later Saturday in the Orange Bowl. Higgins made a one-handed grab off a pass deflected by a defender for a 19-yard score with 2 seconds left in the half. Ross caught a 42-yard TD with 1:44 left in the first half, after an early 52-yard scoring catch from Lawrence earlier in the second quarter. Clemson went 80 yards on four plays in 46 seconds for its final score after a Notre Dame punt. Lawrence is 19-of-26 passing for 264 yards with three TDs, increasing his season total to 27. Ross has five catches for 137 yards. Notre Dame's defense had allowed only two TD passes in its last six regular-season games. Irish quarterback Ian Book is 11-of-20 passing for 107 yards, accounting for most of Notre Dame's 141 total yards. Book also had a fumble that led to a Clemson field goal. Clemson freshman quarterback Trevor Lawrence's 25th touchdown pass of the season has put the No. 2 Tigers back ahead of No. 3 Notre Dame in the Cotton Bowl on Saturday. Justyn Ross caught the pass near the 20, shed a Notre Dame defender and then stiff-armed through another to get into the end zone for a 52-yard touchdown that made it 9-3 with 12:50 left in the second quarter. The extra point attempt was blocked. The true freshman quarterback made a nice throw that the well-defended Ross was able to grab. No. 3 Notre Dame quickly responded to tie Clemson in the Cotton Bowl at 3-3. Justin Yoon kicked a 28-yard goal with 4:31 left in the first quarter. On the ensuing kickoff, Notre Dame nearly forced a fumble inside the Clemson 20-yard line but replay showed the ball was out of bounds — barely. The Fighting Irish went 66 yards on 10 plays on the ensuing drive after No. 2 Clemson converted Notre Dame quarterback Ian Book's fumble into Greg Huegel's 40-yard field goal. This is the first time two unbeaten teams have meet in the Cotton Bowl since Jan. 1, 1948. That game between SMU and Penn State ended in a 13-13 tie. Of course, Saturday's College Football Playoff semifinal can't end in a tie. No. 2 Clemson has taken a 3-0 lead over Notre Dame in Saturday's Cotton Bowl on Greg Huegel's 40-yard field goal with 8:35 left in the first quarter. The field goal capped a nine-play, 31-yard drive set up after Notre Dame quarterback Ian Book fumbled. Book was getting tackled when the ball came out. The ball wasn't initially ruled a turnover, but after a replay review the ball was given to the Tigers. Clark the eagle has finally landed at the Cotton Bowl. The eagle that flew during the national anthem Saturday before the playoff semifinal between Notre Dame and Clemson never made it to his designated landing spot on the opposite end of AT&T Stadium. After bypassing his landing platform inside the stadium with the closed retractable roof, Clark returned almost to his takeoff spot. He landed on the shoulder of a Notre Dame fan clad in a green shirt a couple of sections from where he took off. Clark took off again and flew to the other end of the stadium before doing a U-turn and landing on the outstretched arm of another fan. After a few seconds there, handler Daniel Cone retrieved Clark and got his leash back on him. The small platform on the field where Clark was supposed to land was disassembled without him having made the scheduled stop. It was the biggest stadium in which Clark has flown. Two years ago, Challenger the eagle had an uneventful flight before the Cotton Bowl. Outside, it's dreary and overcast, with real-feel temperatures of near freezing.